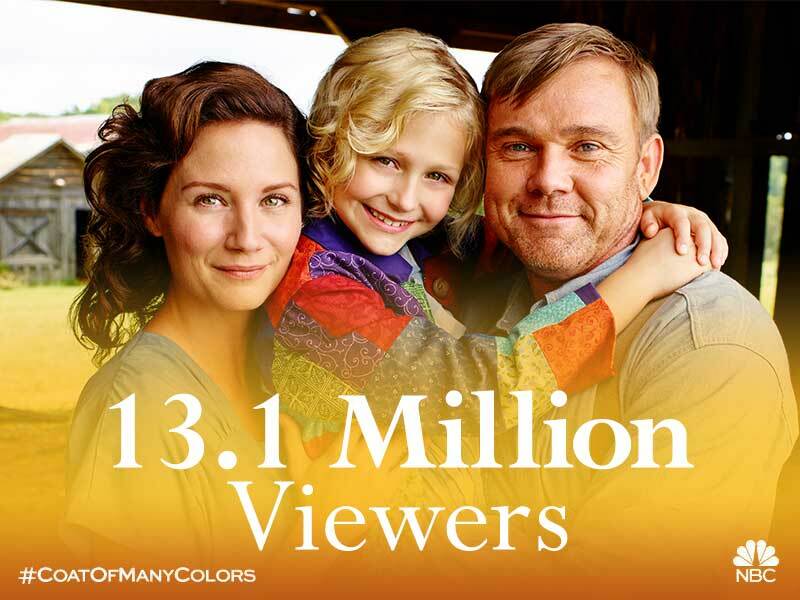 13 Million Watched "Dolly Parton's Coat of Many Colors"
13.1 million viewers watched the world-premiere of “Dolly Parton’s Coat of Many Colors,” and they loved it! Fans and critics alike warmly embraced “Dolly Parton’s Coat of Many Colors” after its Thursday night premiere on NBC. Not taking into account sports and live musicals, Dolly’s heartwarming story drew the largest audience the network has seen in this time slot in six years, according to The Wrap. Headline Planet gives a complete Nielsen ratings report. In addition to the huge viewership, critics gave this heartfelt story high praises. “This is the time of year when sentimentality can be a warming thing, and Parton’s Coat will keep an awful lot of people warm this winter.” Yahoo! Watch “Dolly Parton’s Coat of Many Colors” on NBC.com or the NBC app. Fans can also enter to win a “Coat of Many Colors” merchandise prize pack, a tour of Dolly’s Tennessee Mountain Home and much more in Dolly Parton’s “Coat of Many Colors” Sweepstakes.